Make no mistake, in 2018 gender is on the agenda. From pay parity to the gender gap, to women in leadership roles, the discourse regarding the role of women in traditionally male-dominated workforces is taking poll position. 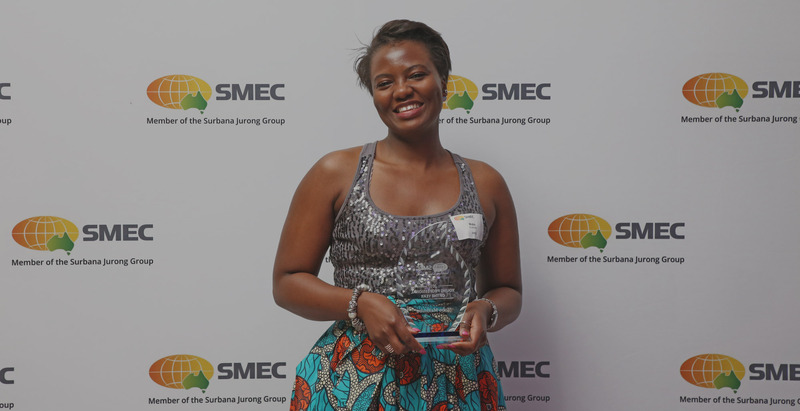 Working at SMEC’s Durban office in South Africa I am proud to say we have a strong and comparative female presence in our office which is relatively equal in number to men. Whilst it is my personal experience that women are slowly starting to come through the ranks and take up our place in leadership roles, we still have a way to go. Historically, engineering has been a male dominated environment, but I can feel the change here in South Africa. It has been seen and noticed that women bring so much to our industry. I have been lucky that I have always been surrounded by strong women in leadership and my first example came from my mother. Now, in the Durban office, there are a number of individuals in leadership roles who inspire me daily, encourage and foster my professional and personal growth. 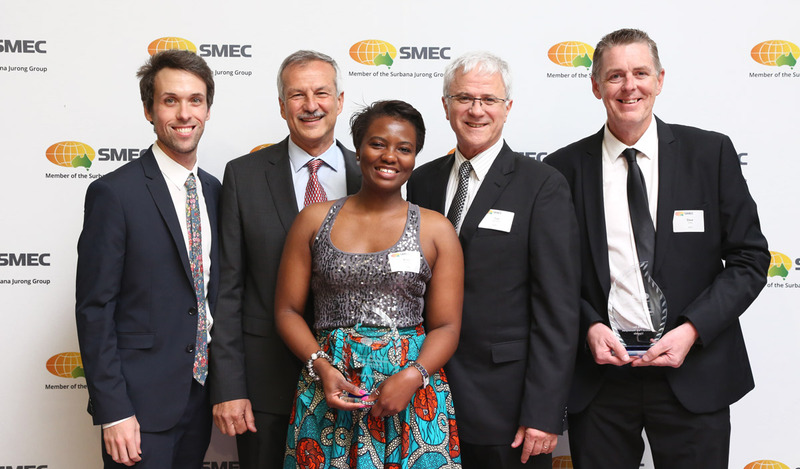 My manager affords me a level of autonomy and trust which helps me achieve my goals and I was very proud to have been named SMEC Young Female Employee of the Year for 2017 at the recent SMEC Awards in Australia. Seeing is believing, and being surrounded by real-life examples of strong leaders within our industry provides me with a personal road-map for achieving greatness. At University, I enjoyed all the science related typically male-dominated subjects. It never phased me and my motto was ‘let’s try it out and see what we can do’. This ability to take risks paid off and I learned that I loved science. What I particularly loved is investigating, asking questions and discovering new knowledge. I get to use these skills and rely on my knowledge every day at SMEC. 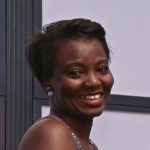 What would I say to a young woman interested in studying science or taking up a career in engineering? Give it a go. You will be able to challenge the status quo and prove yourself right. It is empowering, you will cover multiple topics and the work and study will reveal a myriad of opportunities. My goal is to witness real change and my passion comes from that. Driving social change and ensuring that social development benefits communities is at the front of my mind in everything I do. One such project I am particularly proud to be part of is the Zibambele Poverty Alleviation Program in Durban, South Africa. The Program provides sustainable work opportunities to predominately female-headed households. It’s simple but effective and employs members of the local community (beneficiaries) to look after sections of road. The beneficiaries become responsible for maintaining the road and various tasks are assigned to them from picking up litter to cutting grass to aid mobility, accessibly and aesthetics. The Program is particularly beneficial for members of the community who are often responsible for caring for multiple dependents. Beneficiaries are required to work eight days a month and this type of labour intensive work helps with their day-to-day costs. Many of the beneficiaries often tell us how the Program helps them to put food on table and even puts their grandchildren through school. Working on the Zibambele Poverty Alleviation Program has been rewarding, enjoyable and enlightening. It has given me direction and allows me purpose. In the next two to three years, I want to grow my team and get involved with more sizeable projects. In five to ten years, I would expect to be growing in my leadership role, discovering my capabilities as a leader and further aligning myself with SMECs core values. My end game is to become a thought leader in my field and a recognised industry leader. If I give it a go, commit to my plan, surround myself with aspirational leaders and believe in myself then there’s no reason why all my goals can’t be achieved. Wow. This is such an inspirational story. Love it!